The Mildest Bit You Can Use on Your Mule and Still Achieve Submission. No Pinch, No Discomfort...Letting The Mule Relax and Be Comfortable, Always! Loose Mouth Feel to Isolate Sides for Lateral Movement of the Head and Neck. Five Different Signals Asking Precisely and Comfortably. Bits Are Communication Tools! 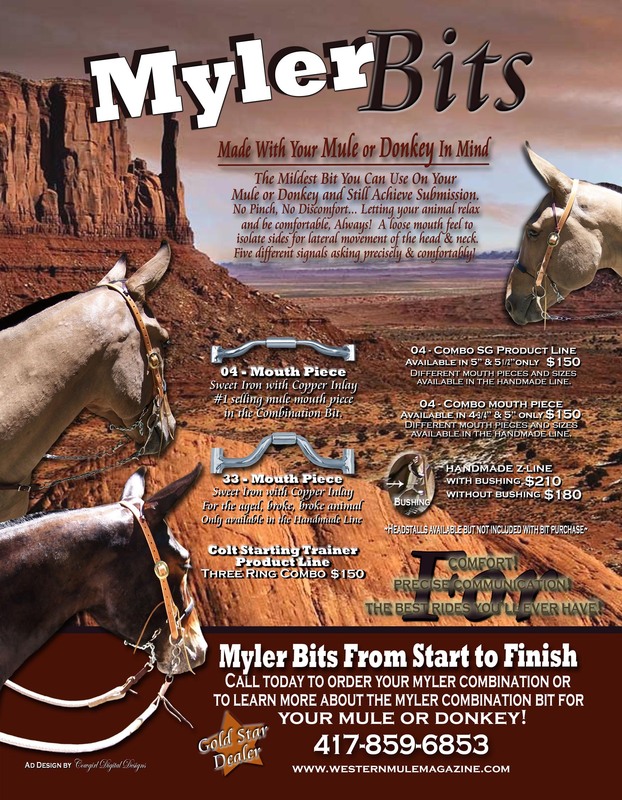 If Your Bit is Sending Confusing Signals or is Causing Discomfort, you need to find out why Myler Bits are the best! The Myler Combination has helped hundreds achieve the pleasures of a well trained mule. -- Different mouth pieces and sizes available in the handmade line. 4) 04 - Mouth Piece - Sweet Iron with Copper Inlay - #1 Selling mule mouth piece in the combination.